Dysgraphia is a learning disability that affects writing abilities. For children with dysgraphia, the writing process is harder and slower. Writing requires a complex set of fine motor and language processing skills. Children may have illegible handwriting, inconsistent spacing, poor spatial planning on paper, poor spelling, and difficulty composing writing as well as thinking and writing at the same time. What are the Signs of Dysgraphia? 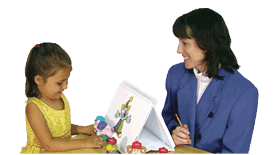 Preschool children may be hesitant to write and draw, and say that they hate coloring. Try different pens and pencils to find one that is most comfortable. Encourage proper grip, posture and paper positioning for writing. Introduce a word processor on a computer early; however do not eliminate handwriting. Have students proofread work after a delay – it is easier to see mistakes after a break.